A calming portrait in ivory. 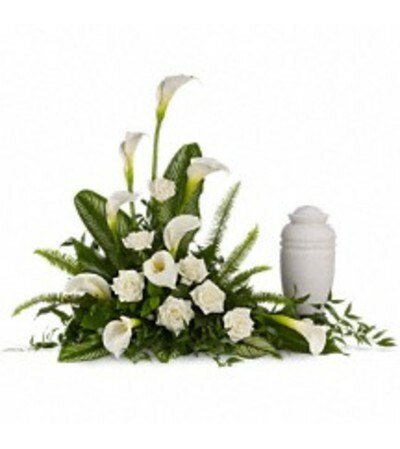 Majestic calla lilies and stately white roses are framed by the lush leaves of aspidistra. Soft green sword fern adds to the soothing tones.